I started my Max Weber Fellowship in September 2014, just after having handed in my PhD thesis at the University of York in the UK. My thesis is titled ‘Treating Young People As Equals: Intergenerational Justice in Theory and Practice’. In it, I ask which inequalities between generations – that is both between birth cohorts and age groups – matter to justice, and I examine governmental duties to young people. At the EUI, this year, I am both (1) working on an number of articles that derive from this project and (2) trying to turn this thesis into a book project. But let me tell you a bit more about the topic of the thesis. In the UK, unemployment rates for young adults are always likely to be higher than for older age groups, but the gap is widening as unemployment rates among the young rise. In 1992, the unemployment rate of the young was twice as high as for the rest of the population, now it is four times higher (MacInnes et al. 2013, 38). At the European level (EU28), the rate of unemployment amongst 16-24 year olds is 23%, approximately twice the overall rate (European Foundation for the Improvement of Living and Working Conditions 2011, 1). Even when they do have jobs, young people are disproportionately likely to be in precarious positions. As Guy Standing argues, although many other groups make up what he calls ‘the precariat’, ‘the most common image is of young people emerging from school and college to enter a precarious existence lasting years, often made all the more frustrating because their parents’ generation had seemingly held stable jobs’ (Standing 2011, 18). Despite this context of job scarcity and the structural precariousness they have to face, the young are often regarded with little sympathy. Media and politicians alike tend to emphasize personal desert and render young people responsible for their own situation. The generation born in the 1980s – Generation Y – has been described as the ‘entitlement generation’, ‘generation me’, and even the ‘dumbest generation’ (Twenge 2006, Bauerlein 2008). If young people are portrayed and perceived as lazy, self-serving and unwilling, then there is at least some reason to worry that youth policies may be inadequate. If policies are driven by group representations and prejudices of this kind, they may miss the urgency of youth poverty and unemployment, and not take young peoples’ interests seriously enough (Buckingham 2012, Howker and Malik 2010). Taking on this challenge, some groups have condemned what they claim are clear instances of injustice. Think tanks, journalists, activists and politicians have voiced, all in different ways, their concerns for intergenerational fairness. They complain that some generations – in general younger and future generations – are getting fewer resources, benefits or entitlements than others, and that such inequalities are morally objectionable. For instance, some argue that it is not fair that the generation of young people today will find themselves having paid ‘a higher share of their incomes to their governments for a lower entitlement to services and benefits from their governments’ (Coyle 2011, 103). Others claim that it is unfair that the government’s spending per elderly person is several times higher than the amount spent per child (Willetts 2010). Others complain that the young today have to pay so much in tuition fees to study towards higher education while the generation before them – the baby-boomers – did not have to pay for the same services when they were young themselves. My thesis draws the lines of an egalitarian account of intergenerational justice. It provides the conceptual clarifications and the normative tools needed to respond to the following questions: Which inequalities between generations matter? What does it mean for a young person to be equal to an elderly person? When do institutions treat different age groups as equals? What is special about time, age and the young for distributive justice? My aim is to answer the question: ‘what does it means to treat the young as equals?’. I provide both a theoretical answer – asking what makes young adulthood special for distributive justice – and a practical answer – asking which radical policies could help bring about a temporally fair egalitarian society. The thesis makes three core theoretical contributions to contemporary political philosophy. First, it contributes to egalitarian thought. Egalitarian theories will not be complete until they can accommodate issues of equality through time. At the very end of the 1980s, the highly abstract ‘equality through time’ debate emerged. It sought to establish the time unit to which dominant egalitarian accounts for justice should apply: if John and Mary are unequal at T1 and unequal at T2 but equal overall, should we care? Is equality a diachronic value, in which case we should find the respective situation of John and Mary unproblematic, or is equality a synchronic value, in which case, we should find the inequality at T1 and T2 problematic. However, participants in this debate did not sufficiently connect their discussion of this abstract puzzle to the topic of intergenerational justice (Lippert-Rasmussen and Holtug 2006). The first important contribution of this thesis is that it deliberately reconnects this debate to generational issues and highlights its concrete implications for the field of justice between generations. Second, in recent years, many philosophers have been concerned with issues of intergenerational justice, but most of them have focused on issues arising from what we owe ‘future generations’. The intergenerational literature has largely focused on the problems of justice that arise when we ask what our duties of justice are to people who do not yet exist. Very little has been written in political philosophy on what co-existing generations owe each other and even less on issues of intergenerational equality. I take on this challenge in the thesis and focus exclusively on co-existing generations, with an emphasis on what we owe to young people. Third, this thesis provides a detailed analysis of the normative importance of the distinction between two meanings of the concept of generation: age groups and birth cohorts. Simply put, the puzzle I engage with is the following. On the one hand, we have no more control over our age than over our gender or ‘race’, so perhaps age – like gender and ‘race’ – should be seen as a criterion that is not morally relevant in justifying inequality. On the other hand, given that we all age – whereas we do not (in most cases) change ethnicity or gender – inequalities that are age-based seem to be less problematic. The basic fact that we all age gives intuitive strength to the dominant default approach to equality through time – complete lives egalitarianism – which states that we should aim to treat people equally over their complete lives. Complete lives egalitarianism, I show, brings interesting insights to explain why inequalities between birth cohorts matter, but is incapable on its own of making sense of why some inequalities between age groups matter. I argue that, even if we contend that complete lives equality, and hence birth cohort equality, is a goal of justice, there are at least two further goals which egalitarians should acknowledge. One is ensuring that inequalities between age groups are always ‘prudent’. The other is making sure that society is free from synchronic relationships of inequality. To highlight these two key principles of age-group justice, I introduce and discuss the key arguments of Norman Daniels and Dennis McKerlie, before going on to offer an account that advances the literature beyond these seminal contributions. This thesis can thus be seen as an in-depth discussion of the requirements of age-group justice extensively discussing an aspect of intergenerational justice that is often overlooked (Gosseries and Meyer 2009, 6). Over time, science and technology have often been considered by part of the legal community as possible threats to our lives, suggesting the necessity of an exceptionalistic approach to the relationship between law, science and new technologies. From this perspective, new problems would require the creation of new rules and the rethinking of legal principles (e.g. genetic exceptionalism has been the belief that genetic information is special and deserving of greater considerations by law than any other form of data). Even though it is undeniable that science and technology may pose new challenges to society, their relationships with the legal system are not rigid, and a case-by-case analysis in light of constitutional fundamental rights is in my opinion recommended, often excluding the necessity of new rules. A multidisciplinary approach is very helpful to face this issue, especially considering that, in daily practice, contemporary lawyers need to face situations that are multidisciplinary by definition, such as evaluating scientific elements in a case they are working on, choosing the best scientific experts to consult, etc. Over the past few years, the use of scientific and advanced technological tools in the legal setting has increased, especially in the field of neuroscience, artificial intelligence and robotics. The promotion of greater interdisciplinary interaction between scholars in law and scholars in neuroscience, artificial intelligence and robotics has been one of the main goals of my academic research since receiving my degree in Law in 2006. My PhD research was focused on the study of the legal impact of the use of neuroscientific tools in clinical trials, with a focus on the right to personal liberty and fundamental rights protected by ECHR and the Italian and US Constitutions. Thanks to the Max Weber Fellowship, which started in September 2014, and the tutorship of Prof. Dennis Patterson (legal expert and philosopher, author of several works on fundamental questions in law and neuroscience), I am now widening my research on neuroscience and law, to explore issues related to neuroenhancement and its possible legal consequences in various settings, such as in the workplace and in clinical trials. In this light, I have also collaborated with the ECLT Centre (University of Pavia) to organize the Law & Neuroscience Winter School. Open to lawyers, philosophers and scientists, the school’s core activities are devoted to the intersection between law and neurosciences, in a comparative perspective. More information on the Winter School is available here. Does the concept of generations offer a useful analytical category in the same way that gender has? Many historians work on histories of childhood, youth, and the elderly, which suggests its promise. But an explicit generational approach has achieved neither a status of self-evident importance, nor theoretical maturity in comparison to gender analytics. The field felt new to me when I started working on youth mobilization in fascist and imperial Japan and its colonies in the first half of the twentieth century. But to my surprise, analyzing youth as both a social construct and a sector of the population was not only useful but essential in order to grasp rapidly shifting state-society relationships in the modern world. It is not a coincidence that a number of researchers, Max Weber Fellows, and faculty members at the EUI also work on the theoretical and historical meanings of generations in modern society. The greatest obstacle for generational history is the vagueness of the term ‘generations’. It could refer to different age groups and life stages (children, youth, adults, and so on) as well as groups of people born and raised in specific times and circumstances (‘postwar generations’ and the ‘X-generation,’ for example). Despite the confusion, generations as a historical analytic most powerfully reveal how people conceive time and space in industrialized society. In fact the dual meanings of ‘generations’ are a product of the new sensitivity to rapidly shifting time in the modern world. The generational analytic offers us a means to historicize the ways in which ordinary people in societies, not just intellectuals who theorized time and space, experienced modern temporality. In particular, it sheds light on understudied aspects of globalization or ‘global moments’: In what ways did students across the world share (or not share) the moment of the 1968 uprising? In what ways do people experience global financial crises? Asking these questions quickly reveals that the sensitivity to shifting time and the modern sense of space are interconnected, together shaping how people imagine their worlds. For me, the analytics of generations more adeptly explain people’s identity borders than the current theories of nationalism do. As a sociological category, generations highlight diversity in society in the same ways that gender, ethnicities, and races do. I believe that generations deserve more serious attention from social scientists and political historians. At the moment, most historians use generations (particularly childhood and youth) as a way to investigate the domestic sphere, affections, emotions, and memories. Historians of childhood tend to search for the historical agency of children, and historians of youth, including myself, often study the identities of young people. These focuses have served us well, but the potential of generational analyses goes beyond them. Mass participation in wars in modern times, in particular, separated populations into different generations. In the Japanese empire, for example, the 1894 Sino-Japanese War, the 1904 Russo-Japanese War, World War I, the 1918 Siberian Intervention, and of course, the Asia-Pacific War in the 1930s and 40s produced diverse generational experiences, despite the fact that the rhetoric of nationalism was incessantly reinforced through mobilization for war. Both the state and various generations, like men and women, tailored their strategies to engage with each other in pursuing the war effort under the unifying banner of ‘one nation’. Such diversity challenges the framework of totalitarian control of the masses and the overwhelmingly state-centered narrative of state-society relationship. Generations are social phenomena –not as tangible as individuals or organizations – and yet they determine collective worldviews and motivations. This has significant political implications waiting to be theorized. We might go further and argue that emotions, affections, and other cognitive experiences shaped by generational relationships – the current focus in the histories of childhood and youth – are by no means peripheral to grand political transformations. They are foundational in shaping the reality of power relationships, including political dominance, subjugation, resistance, and compliance. In the many major political upheavals in the twentieth century – colonial rule, mass wars, decolonization movements, and the polarization of ideologies, for instance – emotional and psychological elements constituted the large parts of politics. A focus on generations, bridging the domestic sphere and hard political outcomes, could offer us a step towards a more integrative approach to emotions and politics. I strongly believe that the field calls for more studies from scholars of our own generation to develop its depth and breadth. In an article published on 1 December 2014 the Guardian reported that ‘poverty is at its most deadly when we no longer notice, we longer care, we no longer even question it’. This article formed an important backdrop to the Poverty Research Workshop, a Multidisciplinary Research Workshop organized by MW Fellows on 5 December 2014 where researchers from across the disciplines turned out to try to challenge the invisibility of poverty. 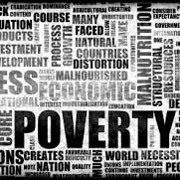 Contributors explored the economic, social, political, environmental, cultural and religious approaches to understanding the causes of and responses to poverty. The EUI was grateful to receive Norberto Ferreras from Fluminense University in Rio de Janeiro and Steven Serels from the ZMO in Germany (former colleagues from the Weatherhead Initiative on Global History) to discuss forced Labour in Latin America, and famine in the Red Sea World. The rest of the contributions came from Max Weber Fellows at the EUI. Julia McClure discussed the ambivalence to poverty that emanates from Christianity, David do Paҫo illustrated representations of poverty in early modern Europe and Julija Sardelić introduced us to the marginalisation of Roma communities as political boundaries shifted in modern Europe and shared her documentary on this topic. These contributions interrogated the political and spatio-temporal landscapes of poverty. Researchers also discussed potential solutions to the problems of poverty. Megan Andrew explored the pros and cons of existing strategies for decreasing inequalities through improving access to education in North America, Juliana Bidadanure introduced the basic income proposal and Basic Income Earth Network, Robert Lepenies introduced the Academics Stand Against Poverty network, and Zoe Lefkofridi demonstrated how economic inequality affects political inequality by presenting evidence of the poor's under-representation and of policy outcomes' bias towards the preferences of the rich. This dialogue across disciplines and geographies illustrated the importance of developing a poverty research network. This will provide a database of ideas and connections of researchers who can contribute to more nuanced and robust strategies for approaching the complex issue of poverty. The need for such studies in the complexities of poverty and its many causes and faces was illustrated in a recent article in Aljazeera on ‘The Death of International Development’, which commented on the need to reject racist narratives of the poor as voiceless victims, aid-centric notions to development, and the paternalistic story of aid. 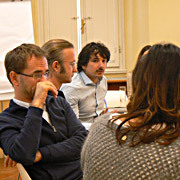 Similarly, the contributors of the workshop grappled with reoccurring ambivalences and paradoxes within the complex relationships between poverty and freedom, poverty and rights, and poverty and movement, and this led to a questioning of the ideologies that have shaped perceptions and responses to poverty. This included considering the neo-imperial dimensions of global capitalism, the influence and limitations of Marxist materialist determinism, and the Christocentric valorisation of poverty and link between labour and dignity. This was an important advance as sometimes these ideologies have been as invisible as the many faces of poverty. The OED defines poverty as: ‘the condition of having little or no wealth or few material possessions; indigence, destitution’, yet our dialogue was a reminder that this definition barely scrapes the surface of the complex issue that is related to rights, opportunity, education, democracy, culture, and labour as well as the necessities of life. Above all this workshop worked to excavate the complex power dynamics that have shaped discourses of poverty. This process raised important questions, not just of how to define poverty, but of who defines it. Whose category is it? Who can choose to be identified by it or not? Who benefits from the category? Who benefits from responses to poverty? It also prompted the contrary questions of what is wealth and what is valued? What began as a workshop based on a patchwork of papers on the experiences, meanings and responses to poverty in different times and localities around the world became a questioning of the politics, social visions, and ideologies shaping the world and the way in which it is understood and experienced. This workshop thus became a reminder not just of the need to increase the visibility of all the complexities of poverty, but also a reminder of the need to remove the veil of invisibility from the ideologies that have created and perpetuated multiple forms of poverties. What do you think of when you hear the term ‘behavioral economics’? Maybe you associate it with a specific methodology, maybe with a specific topic. If you think of a methodology, you most probably think of lab experiments, where subjects (usually BA students) are playing games or making decisions in front of computer screens. Indeed, it is most common that a behavioral economics conference will be advertised as a conference on behavioral and experimental economics, with 90% of presentations displaying experiments, mostly done in the lab. If you think of topics, you most probably think of either bounded rationality or other-regarding preferences. Indeed, behavioral economics gained its worldwide popularity with the groundbreaking experiments of Kahneman and Tversky, who neatly demonstrated how our reasoning diverges from pure rationality. While this stream of research emphasized our shortcomings when compared to homo economicus – the super rational though utterly selfish prototype – the second wave, focusing on other-regarding preferences, emphasized our advantages over this prototype. A series of experiments demonstrated that we tend to cooperate, contribute, trust and bestow others more than the selfish homo economicus would. Both the negative aspects (bounded rationality) and the positive ones (other-regarding preferences) are focused on demonstrating deviations from the assumptions of classical economic theory and gain their fame (or attract criticism) based on this feature. However, behavioral economics is broader, both in terms of methodology and in terms of topics. My own research for example, considered by most to be an integral part of behavioral economics, is not experimental in terms of its methodology and not focused on deviations from the homo economicus model in terms of its topic. Broadly looking at my research agenda, I would say that I develop theoretical models that aim to highlight the potential effects of self-image considerations on societal outcomes. Before explaining what I mean by that, let me note that this line of research diverges from the agendas described above because a person may be completely rational and selfish yet care about his or her own self-image. However, homo economicus is traditionally interpreted in the narrow sense, as someone caring only for material payoffs. Thus, considering self-image puts the theory in a clear social context, deeming it "behavioral" in the eyes of many observers. This social context is treated in the theory either directly, as when considering the effect of adherence to social norms on a person's self-image, or indirectly, as when considering the effect of adherence to one's own set of values in the course of social interactions. In the former case one judges oneself by the standards of others, while in the latter case one judges oneself by one's own standards. To make things more concrete, I will turn now to discuss one example for each of these two aspects of self-image using simplified versions of my own models, while showing how these can be used to analyze social outcomes. The first example considers the effect of a social norm, and social pressure to conform to that norm, on the extent of conformity of different individuals in society. A standard model incorporating this aspect goes as follows. Imagine a social or political issue that is under some controversy, where there exists a social norm, i.e., a consensual (‘right’) opinion or norm of behavior. Suppose now that each individual in society has some private opinion regarding this issue, and everyone needs to declare their stance in public (this could also be an action, like choosing what to wear to work). An individual whose private opinion differs from the social norm will need to consider the trade-off between a social cost, associated with the social pressure for violating the norm, and a psychological cost, associated with stating an opinion different than his or her private one. The social cost is naturally increasing in the distance from the norm to the chosen stance and the psychological cost is naturally increasing in the distance between the private opinion and the chosen stance. Standard models restrict both costs to be linear or quadratic in the relevant distances. However, my own model (coauthored with Daniel Spiro from the University of Oslo) relaxes this restriction, thus highlighting the effect of the curvature of these costs on inter-individual differences. To see the potential effect of the curvature, suppose that the psychological cost is linearly increasing in the distance between the private opinion and the chosen stance of the individual, but the social cost is very concave. Very concave social cost means that even small deviations from the norm incur a high social cost, but larger deviations do not increase the incurred cost significantly. Then, on the level of the whole society, those individuals with opinions quite close to the social norm will fully conform to the norm, while those with opinions sufficiently away from the norm, who cannot fully conform because this would imply a too high psychological cost, will speak their (very deviant) minds in public. They will choose to do so because any smaller deviation from the norm would not make sense given that all norm deviations are punished similarly. However, what should happen if we reverse the modeling assumptions (think of this as a different kind of society or a different norm)? That is, suppose now instead that the social cost is linearly increasing in the distance from the norm to the chosen stance, while the psychological cost is very concave. Very concave psychological cost means that the individual is very reluctant to state a stance that deviates from his/her private one, but, once deviating (due to large social pressure), the individual is quite indifferent between small and large deviations from the private opinion. This time, on the level of society, it will be those with opinions quite close to the social norm who will speak their minds in public, while those with opinions far away, who cannot speak their minds freely because this would imply a too high social cost, will choose to fully conform. In other words, they will conform even more than those who have only slight disagreements with the norm, because the concavity of the psychological cost implies that once they do deviate from their private opinions they don't care too much to what extent they do so. Comparing now the two cases, representing two different societies or norms, one may notice that in the first one the conformists are those with opinions quite close to the norm, while in the second the conformists are the ‘extremists’. Moreover, public (i.e., visible) deviations from the norm are large in the first case, where the extremists are those speaking their minds in public, while small in the second, where these are the ‘moderates’ who are doing so. More generally, such a framework allows us (after adding some complexity) to compare norm conformity and endogenous norm locations in strict societies and in liberal ones, where social costs of norm deviations are assumed to be concave in the former and convex in the latter. Going back to the general theme of exploring the effect of self-image on societal outcomes, but now from the angle of adhering to one's own values, my second example stems from other work I have done. This work considers the effect of reluctance to cheat others on the formation of social groups. First, note that reluctance to cheat others may be easily interpreted as a form of other-regarding preference, so a word is needed here in order to explain how I model it to capture self-image and not other-regarding. Consider a situation where a person is engaged in many bilateral relations with different individuals, in each of which this person may choose to cheat for the sake of gaining some material benefit. From a modeling point of view, if cheating is purely related to other-regarding, one should model the personal cost for the cheater as linearly increasing in the number of ‘victims’ – cheating 10 people hurts others twice as much as cheating 5 people. But if the personal cost of cheating has to do only with self-image, then the cheater cares only about the violation of his/her own value ‘do not cheat’, and therefore cheating 10 people incurs the same (or at least almost the same) cost as cheating 5 people. 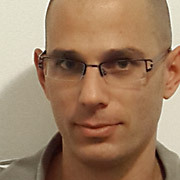 The way to model such a cost is to make it very concave in the number of cheated people, thus capturing the significant reduction in self-esteem when one becomes a cheater (at the extreme this will be a step function – some fixed cost for cheating any strictly positive number of people). So consider now such a model, where people interact with each other bilaterally and have a very concave cost of cheating others. What effect could this cost have on the structure of society? Here the intuition is rather simple. If cheating each person gives a material benefit to the cheater, then cheating a high enough number of people makes cheating worth the accompanying damage to one's self-image (as a self-test of your own ‘cheating threshold’ think of an opportunity to secretly bypass a queue of people standing in line for some service). This in turn sabotages any attempt for large scale cooperation (in the absence of enforcing institutions). It thus implies that people can sustain cooperation only in limited-size group. Hence, on the level of society, one should expect to find people forming separate groups and restricting their cooperation only to within-group interactions. This basic framework then allows me to analyze more complex situations, where people differ in their personal cost of cheating, and the inclination to feel bad because they cheat is private information, but I will leave this to a future post. It has only been a few months since I left Florence and the European University Institute, where I spent two years (2012-2014) as a Max Weber Fellow in Economics. Yet, it turns out that it’s not too early to start realizing the Max Weber Programme’s profound impact. Since last October, when I moved to Oxford as a Career Development Fellow in Economics, I have often had to draw on a number of skills that I developed during my time in Florence. So, when I was recently preparing a syllabus for my tutorials, I knew I had to make sure that the learning objectives were aligned with the course assessment. My presentations now incorporate the overwhelming advice my EUI colleagues and the Max Weber team offered me (explain things slowly at the start, avoid technical terms when possible, wait a little bit before responding to questions, don’t overrun, breathe with your belly before a talk, make eye contact etc.) as well as my own personal impressions after having watched myself on video many times. The collegiate system of Oxford means that in the Senior Common Room meals I usually sit next to scholars of other disciplines, an interaction for which the MWP has prepared me much more than sufficiently, while, guess what, in a month from now I need to offer a 10-minute overview of my research to an interdisciplinary audience. When I write, I always bear in mind the always-in-generous-amounts comments and suggestions on how best to communicate my research that was given by my colleagues from the economics writers’ groups and, of course, by Alyson, David, and Laurie from the Academic Communication Skills team – not forgetting the website provided by the MWP which I also still use. The APG sessions, especially those during my first year, have influenced my approach to, and knowledge of, issues like publishing, academic ethics, grant applications, etc., while my research itself has benefitted enormously from my close interaction with the Max Weber economics group, as well as the macroeconomics group of the department of economics and its many very successfully-run working and reading groups. But, of course, the Max Weber Programme has always been much more than the sum of its components and that’s thanks to the many talented, rounded, quick-witted, and often larger than life characters it sets the stage for. With Florence and the Tuscan hills providing the setting, it doesn’t take one too long to build many genuine friendships. Certainly, the ‘divine’ wine and food help, and this note couldn’t have finished in any other way as opposite me stands the photo of an angry Dario Cecchini holding a piece of meat in his hands – a souvenir from the 2013 Max Weber bistecca pilgrimage. I will write about football and the legendary ‘Ramones’ on another occasion. Last year all but two Fellows had a new academic position by the end of their Fellowship confirming how becoming a Max Weber Fellow boosts the careers of promising young academics. The success of the Max Weber Programme is further shown by its growth in numbers. During the 2014-2015 academic year it is hosting 50 Fellows, and in 2015-2016 this will rise to 58. Current Fellows are distributed in four different departments of the EUI: Social and Political Science (SPS), History and Civilization (HEC), Economics (ECO) and Law (LAW). While 12 Fellows continued their Fellowship from the last year, 38 Fellows were selected from a pool of 1,277 applicants, with a success rate of 3.13%. The success rate for the cohort 2015-2016 is still very competitive at 4.37%. 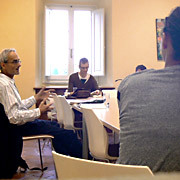 By the deadline on 25 October 2014, the Max Weber programme had received 1,145 applications for the four EUI departments and the Robert Schuman Centre for Advanced Studies (RSCAS). The majority of applications came from Europe (675 applications), followed by North America (208), Asia (173), South and Central America (48), Africa (26) and Oceania (15). Most applicants also expressed their affiliation with a specific thematic group, a novelty introduced to the Programme in 2014. Please note that the comparison with the applications from the previous years should take into account changes in the eligibility criteria. The Max Weber Programme is proud to launch a new initiative on its YouTube channel. Video clips of short interviews by MW Fellows of MW Lecturers are being posted to share on line the meeting of minds between young promising academics and established scholars. The Max Weber Programme launched this year a series of Master Classes with the MW Lecturers. The seminars – organized by individual Thematic Research Groups – are the occasion for the Fellows and the members of the Groups to discuss extensively the Lecturers’ work and academic experience. Read more about the Master Classes with the lecturers here. The Max Weber Programme at the European University Institute (Florence, Italy) is proud to launch the following call for abstracts for a conference on the topic of universal basic income. The past three decades have seen the development of a vast body of literature on universal basic income – a policy proposal Philippe Van Parijs referred to as a “disarmingly simple idea”. It consists of a monthly cash allowance given to all citizens, regardless of personal desert and without means-testing. 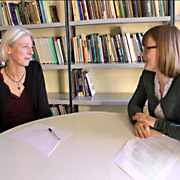 Basic income studies are an example of successful interdisciplinary research, involving philosophers, economists and sociologists, among many others. Basic income (BI) proponents have identified, evaluated and deconstructed many potential and actual objections to this radical proposal. Yet for young scholars interested in, but new to, basic income, the field might seem crowded and overwhelming. This conference aims to look into the future of basic income research: Which questions have been left unanswered, which questions should be posed? What should be on the research agenda for the next 10 years? We invite submissions of abstracts of no more than one page for the conference that will take place on Friday June 26th. Please also provide a short biographical sketch. The deadline for submission is February 15th 2015. The conference will take place in the Badia Fiesolana from 10th to 12th June, followed by the annual EUI Summer Ball. Are you interested in problems emerging at the intersection of law, science, philosophy, history? Would you like to learn more about the ways in which scientific findings are used in law and policy? Are you eager to discuss the importance of discourses on nature and natural laws for law and politics – from historical and contemporary perspective? Do you specialize in intellectual history (i.a. of the laws of nature in their connection to natural and positive law), history of science (i.a. of the behavioural sciences and law), biopolitics, philosophy of nature, or philosophy of law? If yes, please read our call for papers and submit your abstract by 20 February. A MW Lecture by Claus Offe, Professor of Political Sociology at the Hertie School of Governance, 18 February 2015, 17:00, Refettorio, Badia Fiesolana. 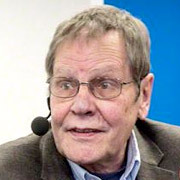 Claus Offe is a political sociologist. He has made substantive contributions to understanding the relationships between democracy and capitalism. His recent work has focused on economies and states in transition to democracy. The experience of declining growth rates, near-stagnation and deflationary dangers in much of the OECD world has triggered an intense debate on both the feasibility and desirability of economic growth being restored through the adoption of promising policies and institutional reforms. In particular, the current crisis of the Eurozone leads a majority of academic and political observers to believe that strengthening economic growth is the key strategic objective for overcoming the crisis through the achievement of fiscal stability, the improvement of the employment situation, and the general social and political integration of capitalist democracies. At the same time, there is a growing camp of those who doubt either the feasibility and/or the desirability of restoring patterns of economic growth that prevailed in the West throughout most of the post-war period. The lecture will outline five sets of analytical arguments and normative point of view that drive current controversies on the future of economic growth. 18 March 2015, 17:00, refettorio, Badia Fiesolana. Lucia Zedner’s interests include penal theory, comparative criminology, victims, security, risk and anti-terrorist policy. Since the start of her academic career her work has been trailing the moving borders of citizenship and the criminalization of different categories of citizens. Baroness Neville Jones of Hutton Roof has been National Security Adviser to David Cameron, and Security Minister in Her Majesty’s Government. 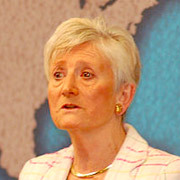 Formerly Chairman of the UK’s Joint Intelligence Committee, Lady Neville Jones has also been Political Director at the Foreign Office and a governor of the BBC. She was Britain’s chief negotiator at the Dayton Accords which brought an end to the Bosnian War. 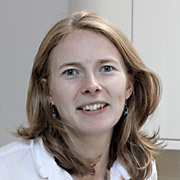 Earlier in her career she was deputy chef de cabinet to Commissioner Christopher Tugendhat and served the Foreign Office in Singapore and Bonn. The recent terrorist attacks in France have raised again the question of a more ambitious anti-terrorist policy at EU level. Russia’s actions in Ukraine present the EU with a further set of serious security challenges. Some European states, and the EU itself, are engaged militarily on different fronts beyond the EU, from Mali to ISIS. According to many scholars contemporary society is becoming increasingly diverse, especially in the age of global migration. People with different (often externally ascribed) identities, backgrounds and statuses are living in a common space co-creating the pluralistic society with their own experience as well as engagement. However, at the same time, many academics have argued that diversities are necessarily interrelated with certain societal hierarchies, which go hand-in-hand with the production of an individual’s social inequalities. Throughout history as well as in the present, members of pluralistic societies have developed various measures to ‘manage’ their diversities and hence also address inequalities (even in cases where this produced even deeper exclusion of certain populations, such as migrants and minorities). The question of managing diversity and addressing inequalities is also currently in the spotlight because of the on-going economic crisis and, to certain extent, the decline of the welfare state as well as growing intolerance towards marginalized populations. 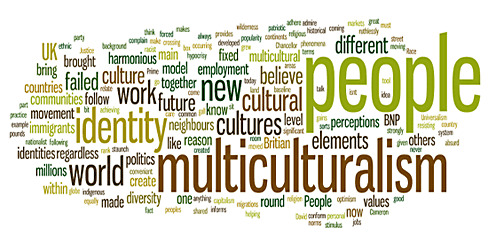 This workshop will compare and critically evaluate two theoretical approaches (as well as their implementation in practice) that address these challenges: multiculturalism and interculturalism. The keynote speaker will be Professor Will Kymlicka, who will present his view on the multiculturalism versus interculturalism debate. His presentation will be followed by a round table with Max Weber Fellows (including Juliana Bidadanure, Franz Fillafer, Fran Meissner, Garvan Walshe) and open discussion with all Max Weber Fellows. The workshop will focus on the relationship between law and war, which has been going through a major change over recent decades. This change is symbolized by a shift in terminology from “Law of War” to “International Humanitarian Law.” In essence there is an attempt not just to better regulate armed conflicts but to narrow the infringements of human rights caused by them. Yet, recent developments have raised some doubts in regard to law’s ability to achieve this goal, in view of technological developments as well as other changes in the international arena. The speakers in this workshop aim to shed light on the tension between law and war from different angles. While mutual trust has been brought up with increased frequency in the European political/legal debate over recent years, the literature has repeatedly pointed to a lack of conceptualization of mutual trust as a significant lacuna. That lacuna reflects a difficulty, that of circumscribing a notion that appears to defy easy categorization. As a result, discussions of mutual trust in the current EU context tend to refrain from defining trust and instead focus on its apparent manifestations. The lack of conceptualization of mutual trust is problematic because it prevents a systematic discussion of the significance and limits of that notion, whereas the Union is keen to incorporate within its regulatory mechanisms a conclusive presumption of mutual trust between Member States, and mutual trust has been hailed by the EU Court of Justice as nothing other than a “raison d’être of the European Union” (Case C-411/10, N.S., para. 83). 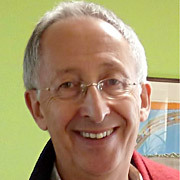 The notion of mutual trust appears particularly suited to a multidisciplinary inquiry, which is capable of informing a range of possible applications across the social sciences, including in relation to the management of complex systems such as that of the European Union, as well as improving generally mutual understanding of the issues and methods of the social sciences. The workshop therefore intends to engage in a process of “mapping mutual trust” in order to inform ultimately a possible rationalization of that notion in the current EU context. The aim of this Joint MWP/RSCAS Conference is to assess how the role of Parliaments ‒ the European Parliament (EP) and the national parliaments ‒ has evolved since the beginning of the European integration process. 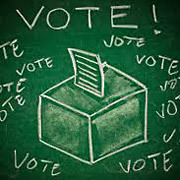 What is the current state of the art in terms of functions performed and powers and of their democratic elections? In pursuit of these questions, this Joint MWP/RSCAS Conference brings together scholars from different disciplines – history, law, and political science. Looking for research funding, either as the main source or an additional source of funding for research projects, is becoming more and more common for academics across all career stages. The Academic Careers Observatory (ACO) of the Max Weber Programme organized a conference again this year on research funding opportunities, with the aim to inform Max Weber Fellows (MWF) and the broader EUI community on the variety of available funding schemes. Researchers and fellows were informed about research funding opportunities, both at the European and at the national level through a workshop and a conference, both of which took place in the second half of November. As an introduction to the conference ACO organized an informal workshop on November 19th, titled “European Funding Opportunities: Insider Insights”. 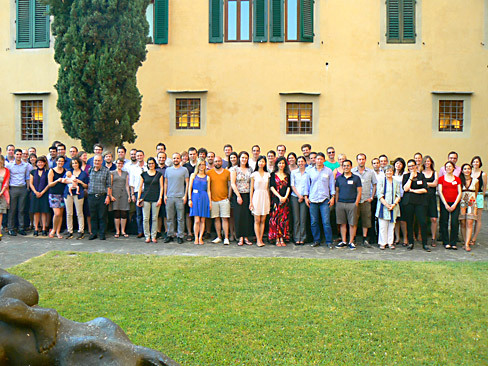 The workshop was open to all EUI researchers and postdoctoral fellows and its main purpose was to provide the EUI community with some useful insights into European funding opportunities aimed directly at early-career scholars. Particular attention was given to the following topics: Horizon 2020 and its impact on European funding schemes for early-career fellows; applying for the Marie Skƚodowska Curie Individual Fellowships and the European Research Council (ERC) Starting Grants; host institution support and the application review process. Workshop speakers were Rasmus Hoffmann, a former MWF and now an ERC grant holder (EUI), Jelena Džankić, Marie Curie Fellow (EUI) and, from the Robert Schuman Centre for Advanced Studies (EUI), Andrea Calderaro and Ingo Linsenmann. Workshop participants had a chance to hear about the individual experience of the first two speakers, Rasmus and Jelena, in applying for the prestigious European research grants and get practical advice on how to prepare their own applications and increase their chance of success. In contrast, Andrea and Ingo spoke about, respectively, the application review process and institutional support. They explained the details of the project evaluation procedure and the importance of the role of the host institution where applicants plan to conduct their research projects. One week after the workshop, on November 26th, ACO organized its third conference on both European and national funding opportunities. The conference was titled ‘Exploring European and National Funding Opportunities’, and hosted six representatives from different research funding agencies. The representatives offered an overview of various research funding schemes explaining each of their agency’s funding programmes and offering advice and insight on the application process. The agencies’ representatives highlighted in particular those opportunities that are directly aimed at early-career scholars. Representatives from the European Commission and the European Research Council, Frank Marx and Pilar Lacruz, spoke about the available European grants, which are part of Horizon 2020, the EU’s research and innovation programme with nearly 80 million euro of funding available over seven years. Adam Walker, representative from the Arts and Humanities Research Council, and Ross McKiernan from the Irish Research Council, offered overviews of their agencies’ respective schemes. Eléonore Dispersyn, from the French National Research Agency, and Maja Ardüser, from the Swiss National Science Foundation, talked about research funding opportunities available for all those interested in coming to France and Switzerland to conduct their research, but also for the nationals of those two countries interested in pursuing their research agenda abroad . Finally, as this year’s novelty, Gritta Klöhn from the German Academic Exchange Service (DAAD) spoke about the schemes available for both non-German and German nationals interested in doing research in Germany or abroad. For the details of the conference programme and speakers’ presentations you can check the conference webpage. Max Weber was born 150 years ago on the 21st of April, 1864. To mark this anniversary, the Max Weber Programme organized a special Max Weber Lecture to celebrate Weber’s intellectual legacy. On 15 October 2014 Peter Ghosh of the University of Oxford, and the author of a recent definitive study of Weber’s The Protestant Ethic and the Spirit of Capitalism, provided an opportunity to discuss his work as a social scientist and theorist of capitalism and liberal democracy starting from the question: Why Should We Read Max Weber in 2014? In 1964 this question was open and was passionately debated, but in 2014 Weber’s canonical position is so secure that it seems superfluous. Nonetheless, the question should be asked, because if it is not, then any view of Max Weber as an integral thinker recedes into the distance, and he dissolves into a series of specialized fragments. The lecture suggested that Weber is perhaps unique in his identity as a universalist thinker capable of operating under modern conditions, such as specialization and cultural difference, which are radically hostile to universalist thought. To answer this question, we should consider, first, the more obviously universalist areas of his thought (academic “science” orWissenschaft, religion, law) and then one that is not (politics). However, this is matter for four lectures at least. So here we shall began at the beginning: with Wissenschaft. Oriana Bandiera is Professor of Economics at the London School of Economics (LSE) and Director of the Suntory and Toyota International Centers for Economics and Related Disciplines (STICERD). Oriana Bandiera is an internationally renowned expert of Development Economics. She champions an empirical approach to development issues and her work relies on field experiments. In this Max Weber Lecture Bandiera presented her work on how to identify the right incentives for recruitment in public service. The public sector provides several inputs to economic growth and their effectiveness ultimately relies on the effort and skills of the agents hired to deliver them. How can the State use incentives to recruit, motivate and retain talented agents? Do material incentives attract talent or do they discourage altruism? Do material incentives motivate agents to perform better or do they crowd-out their intrinsic motivation and reduce performance? This lecture provides some answers from recent field experiments. Dagmar Herzog is distinguished professor of history and the Daniel Rose Faculty scholar at the Graduate Center, City University of New York. She has published extensively on the histories of sexuality and gender, theology and religion, Jewish-Christian relations and Holocaust memory. She gives particular attention in her research to methodological innovations in critical source analysis and in gender and sexuality studies. Herzog was awarded a 2012 John Simon Guggenheim Memorial Foundation Fellowship for a trans-Atlantic research project on the European and American histories of psychoanalysis, trauma, and desire. In this lecture Herzog examines the impact of Konrad Lorenz’s “On Aggression” in Post-Nazi Germany. The heyday of intellectual and popular preoccupation with psychoanalysis in the West reached from the 1940s to the 1970s, from post-Nazism through Cold War consumerism to the anti-Vietnam War movement and the sexual revolution. In each country the ensuing debates over the truth about how human beings are took unique form. 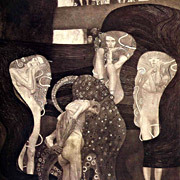 Only in West Germany did debates about the value of psychoanalysis as a system of thought circle so intensely around the question of whether or not aggression was an ineradicable aspect of the human animal and whether or not it might best be conceived as a “drive” comparable in strength and form to libido. This lecture analyzed the wholly unexpected consequences set in motion by the publication of ethologist Konrad Lorenz’s “On Aggression”, not only on the oeuvre of the preeminent West German psychoanalyst Alexander Mitscherlich, but also on the eventual shape taken by the New Left’s politics and theories of human nature. The Max Weber Lectures opened in 2015 with an outstanding guest speaker. Thomas Piketty is an internationally renowned French economist and Director of the Paris School of Economics. His most recent book Capital in the Twenty-First Century has captured the headlines of the popular and specialised press, bringing the debate about wealth and income inequality under the spotlight. This lecture draws on Thomas Piketty’s book. The author asks the question: What are the grand dynamics that drive the accumulation and distribution of capital? Questions about the long-term evolution of inequality, the concentration of wealth, and the prospects for economic growth lie at the heart of political economy. But satisfactory answers have been hard to find for lack of adequate data and clear guiding theories. Based on a unique collection of data Picketty shows that modern economic growth and the diffusion of knowledge have allowed us to avoid inequalities on the apocalyptic scale predicted by Karl Marx. But we have not modified the deep structures of capital inequality as much as we thought in the optimistic decades following World War II. The main driver of inequality – the tendency of returns on capital to exceed the rate of economic growth – today threatens to generate extreme inequalities that stir discontent and undermine democratic values. But economic trends are not acts of God. Political action has curbed dangerous inequalities in the past and may do so again. The Poverty Research Workshop aimed to establish an inter-disciplinary discussion on poverty research, the future directions and uses of a poverty research network, and ways in which academic practice can be linked to society today. A number of speakers from a range of disciplines from inside and outside the EUI took part in this event, which culminated in a roundtable to discuss the setting up of a poverty research network. 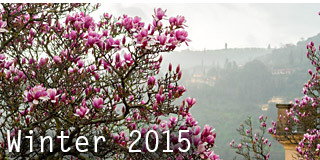 The Max Weber Programme hosted an extra Lecture to welcome back Fellows and EUI community members in 2015. The event was chaired by Lucy Riall, Professor at the Department of History and Civilization at the EUI and the speaker was introduced by Richard Bellamy, MWP Director. Paul Ginsborg is a leading authority on contemporary Italy. He taught European Politics at Cambridge University, before moving to Italy in 1992 to take up the chair of contemporary European History at the University of Florence. His impressive bibliography on Italian history starts in 1978 with a book on Daniele Manin and the Italian Risorgimento (Daniele Manin e la rivoluzione veneziana del 1848-49, Milano, Feltrinelli, 1978; Torino). He has written extensively on the Italian Republic, stressing how social structures such as the family are of crucial importance to the understanding of the specificity of Italian history. His focus moved on Silvio Berlusconi more recently and the political destiny of Italy was at the core of this welcome back talk. By whatever measuring rod one cares to adopt – economic, political, cultural – the Italian Republic has undoubtedly been in increasing difficulty since the early 1990s. The long dominion of Silvio Berlusconi in Italian politics has been only one, albeit highly significant, expression of a general decline, which has been accelerated by the global crisis from 2008 onwards. Faced with this situation, many distinguished commentators, both internal and external, have expressed doom-laden sentiments about Italy’s destiny. It is difficult to disagree with much of what they say, but Paul Ginsborg urges caution. The Italian Republic – references to a second or third Republic are to him rather spurious – has shown a remarkable capacity to survive. To explain why this is so, Paul Ginsborg adopts a predominantly historical perspective, concentrating on three areas of enquiry: Italy’s cultural specificity as a Catholic and Mediterranean country; the perennial role of strong families acting as buffers against crises of varying dimensions; and the long-term European performance of Italy in relation to what Edward Thompson once called ‘the great arch of bourgeois revolution’. The picture that emerges is neither comforting nor cataclysmic. We are glad to receive and announce former and current MW Fellows’ publications. Due to restricted space this is but a selection of publications received in the last few months of 2014. Rasmus Hoffmann (SPS Fellow 2008-09), with Plug, I., McKee M., Khoshaba B., Westerling R., Looman C., Rey G., Jougla E., Lang K., Paerna K., Mackenbach J., “Innovations in health care and mortality trends from five cancers in seven European countries between 1970 and 2005”, International Journal of Public Health, 2014, 59(2):341-350. doi:10.1007/s00038-013-0507-9. Eirini Karamouzi (HEC Fellow 2013-2014), Greece, the EEC and the Cold War, 1974-1979. The Second Enlargement , Palgrave Macmillan, London, 2014. 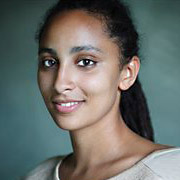 Stéphanie Novak (SPS Fellow 2010-2011), "Les États membres et l'Union européenne", In L'Union europénne, dirigé par Renaud Dehousse. Paris: La Documentation française. 2014. 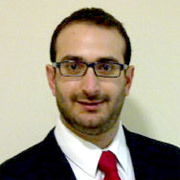 Philipp Ayoub (SPS Fellow 2013-2014) was awarded the American Political Science Association's Human Rights Section award for Best Dissertation and the Cornell University's Esman Prize, for distinguished scholarship culminating in a superior dissertation. Arantxa Crespo Rodriguez (ECO Fellow 2013-2015) was awarded the 2013 Enrique Fuentes Quintana Award presented by the Fundacion de las Cajas de Ahorros (FUNCAS) in Spain. The award honours the best dissertation in Economics produced at a Spanish university during the year 2013. Antonio Marzal Yetano (LAW Fellow 2014-2015), was awarded three prizes for his PhD dissertation "La dynamique du principe de proportionnalité. Essai dans le contexte des libertés de circulation du droit de l'Union Européenne" : (1) the 2014 doctoral thesis prize Pierre-Henri Teitgen in EU law; (2) the 2014 doctoral thesis prize (prix solennel) André Isoré in private law, awarded by the Chancellerie des Universités de Paris; (3) the 2014 doctoral thesis prize awarded by the Fondation Varenne in the category of EU law. 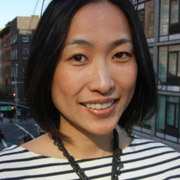 Kristin Surak (SPS Fellow 2010-2011), Making Tea, Making Japan: Cultural Nationalism in Practice (Stanford University Press 2013) was named the Best Book on Asia in 2014 by the American Sociological Association. Louisa Josephine Aurelia auf dem Brinke was born on 20 September 2014 to Robert Lepenies (Law Fellow 2013-2015) and Anna auf dem Brinke; brother Samuel (Kindergarten scholar) is reportedly very happy. Seamus John Donnelly was born to Michael Donnelly (SPS Fellow 2013-2014) and Sarah Donnelly, on 25 November 2014. Hugo Richard-Picchi was born on 17 November 2014 to Alexandre Afonso (SPS Fellow 2010-2011) and Anne-Isabelle Richard Picchi (HEC Fellow 2010-2011). Harriet Eloise Sutcliffe was born to Jennifer Hillman (HEC Fellow 2012-2013) and Rob Sutcliffe on 20 October 2014. Mattia Antonucci born on 20 January 2015 to Sarah Simonsen (MWP Administrative coordinator) and Simone Antonucci. His sisters are ever so proud.